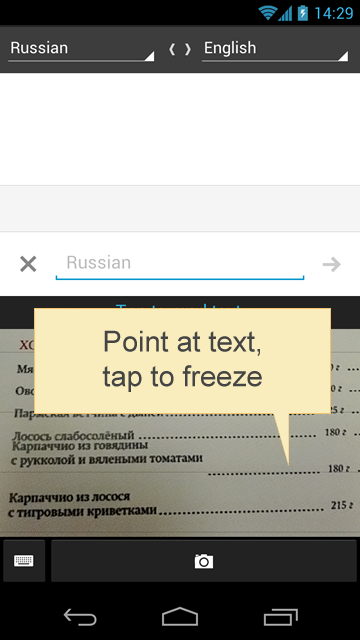 Google announced they closed the loop on features for Google Translate by adding in a Google Goggles feature to the Translate App. 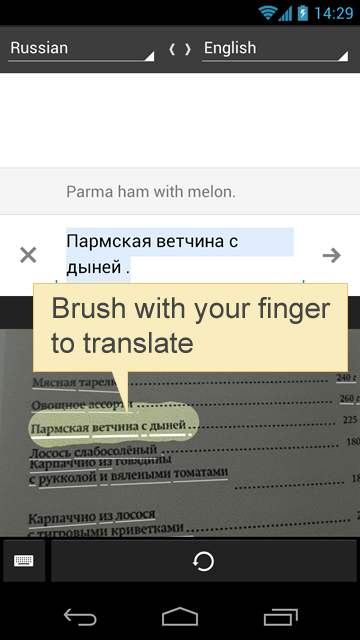 You can now take a picture of something, brush your finger over the words in the picture that you want to translate and Google will use OCR technology to convert the words in the picture to character and then translate them. 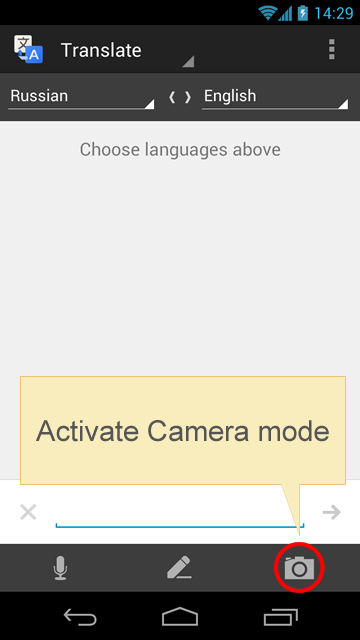 You can even have Google speak them in either language if you wanted. 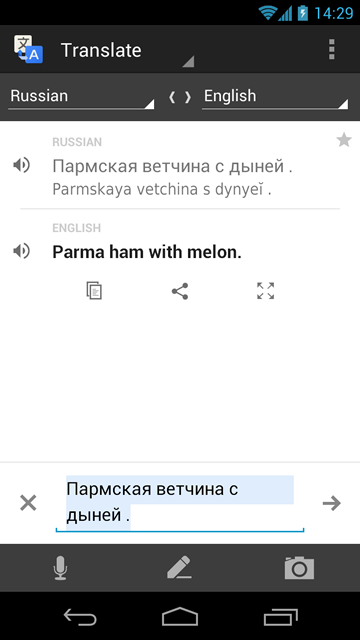 To use our new camera feature, push the camera button, point at some text, tap to freeze the picture, brush the part you want with your finger, et voila -- enjoy your machine translation. As usual, you can click the text-to-speech icons to listen to the source text or the translated text. We currently support optical character recognition for Czech, Dutch, English, French, German, Italian, Polish, Portuguese, Russian, Spanish, and Turkish, and we’re also working hard to get more languages on the list.